Evidence of third-party use of MONSTER-formative marks led the Board to find that the mark MONSTER is "somewhat weak for clothing." The letter M, however, was not shown to be similarly weak. As to the marks, the Board found the two design marks to be "overall quite similar." As to the word marks MONSTER and MONSTERFISHKEEPERS, "the additional matter in Applicant’s mark plays a significant role in helping to create a commercial impression that is quite different from Opposer’s mark, MONSTER." That is, consumers encountering Applicant’s mark will quickly discern the three recognizable words, MONSTER and FISH and KEEPERS. Applicant introduced evidence showing that the first two terms or “monster fish” may be used to describe an extremely large fish kept as a pet or a gigantic fish that might be described fantastically as a “monster." The Board therefore found the marks to be different in appearance and sound and, "most importantly," in their meanings. "The similarity of the marks based on Applicant’s incorporation of Opposer’s mark is outweighed by the differences, especially the connotation of MONSTERFISHKEEPERS versus that of MONSTER. Accordingly, this factor weighs against finding a likelihood of confusion." The Board therefore dismissed the Section 2(d) claim. 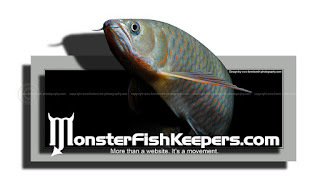 As to the dilution claim (involving only the word mark MONSTERFISHKEEPERS), Opposer did not prove that its MONSTER mark was famous prior to 2010, Applicant's first use date. Moreover, the marks MONSTER and MONSTERFISHKEEPERS have little similarity, and in any case Opposer is not the sole user of the mark MONSTER. 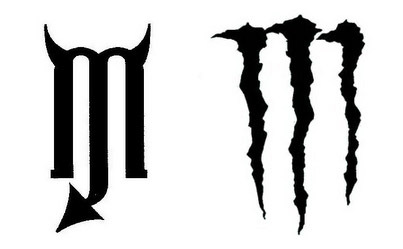 There was no direct evidence of the level of recognition of the MONSTER mark, little evidence of an intent on the part of Applicant to associate his mark with the MONSTER mark, and no proof of actual confusion. TTABlog comment: It seems to me that Applicant was trying to suggest Opposer's marks without copying them exactly. What do you think? BTW, note that Applicant was represented by Eve Brown of the Boston University Law School Clinic, and formerly of the Suffolk University Law School Clinic.